Technique: A lot of these meditations (and you can find a huge variety of chakra balancing/activation/cleansing recordings all over the web for free) tend to use auditory tones/vibrations to stir each of the body’s energy points, clear any blockages, and balance them out. 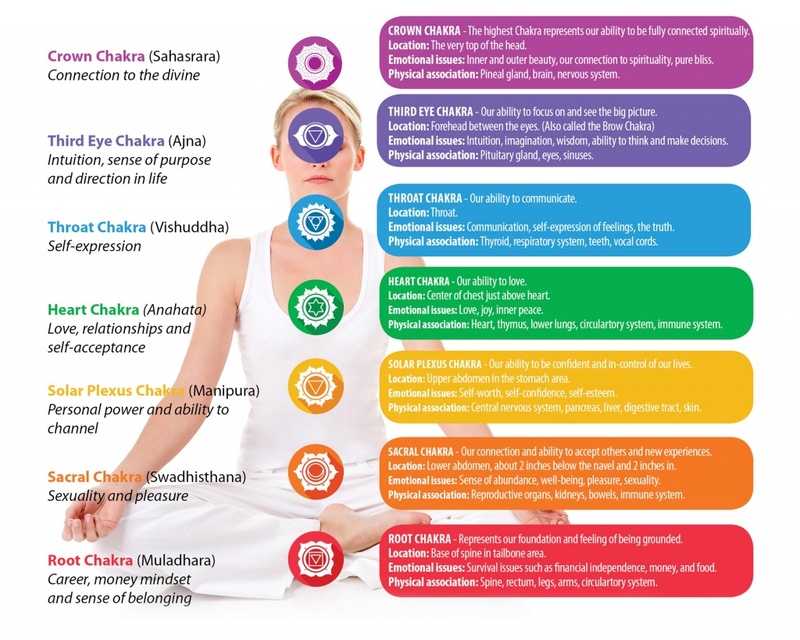 The idea is that chakras can be activated, cleared, and balanced by various tonal vibrations, focus on said chakra, and even while placing various crystals on your body where the chakra is. You can also focus on a specific chakra, for balancing, activating, and clearing. While you are focusing on the specific chakra, you can think of its color emanating from you (from that part of the body) and just imagine it strong, healthy, balanced, and glowing. When you add the tonal vibration (sometimes even music) to it, you can actually feel the resonance within that chakra. My Meditation: Today I’m just going to do my regular 14 minute run through on all 7 chakras, then go back and spend about ten minutes working on my third eye (activation for a follow up working) and 10 minutes working on my throat chakra (activation) for something coming up. That’s a 34 minute meditation. Meditation Resources: Here’s a 10 minute Chakra Balancing Meditation meant to be uplifting if you want to dip your toes in and see if Chakra Meditation is something you’re into. Thoughts: I found today’s meditation revealing. A few things came to light, and I noted these things in my morning pages. I generally do a brief chakra balancing and activation before certain magickal work just because I find it packs more of a punch and I feel more in tune with my intent. Other people’s mileage may vary, but it’s worth a try if you haven’t. This entry was posted in meditations, Spirituality, the writing life and tagged activation, balance, chakra, focus, Meditations by Steph. Bookmark the permalink.